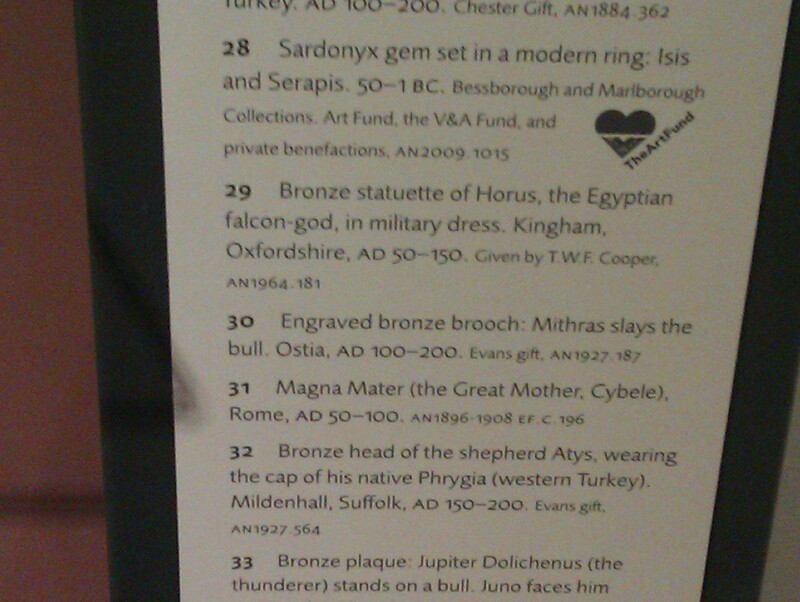 Last Saturday I was in the Ashmolean Museum in Oxford, browsing idly the Roman exhibits. 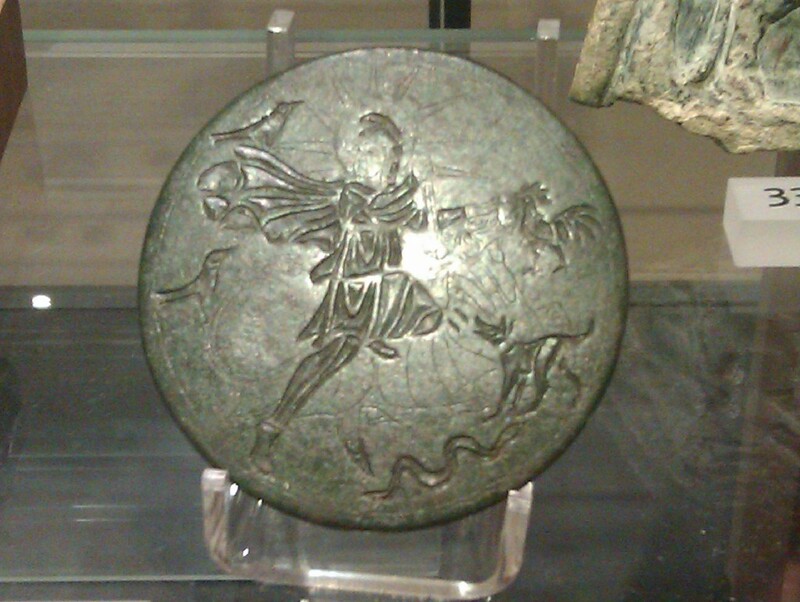 Suddenly I realised that I was looking at a set of small finds, all of Empire-period deities; and I started looking much more closely to see if there was a representation of Mithras. And so there was! Sadly I had no camera with me. All I had was the camera in my smartphone, which is nothing special. Anyway I had a go, and, after several attempts, produced this. The reverse of the brooch was harder to see, but there was a pin sticking out to one side from the back, just as with a modern brooch. So … not a wasted day, in any sense!